Beetroot! I love beetroot, especially pretty coloured beetroot. To make the most of this fabulous vegetable I decided to cook it in a million ways and have it for dinner. I baked, crisped, pickled, sliced and sauteed it. I think the only things missing are a puree and a broth! To be honest, there was too much on the plate and it really was two meals in one. The roast beetroot, blue cheese and walnut salad on the left was beautiful, but didn't really go with the rest of this dish. 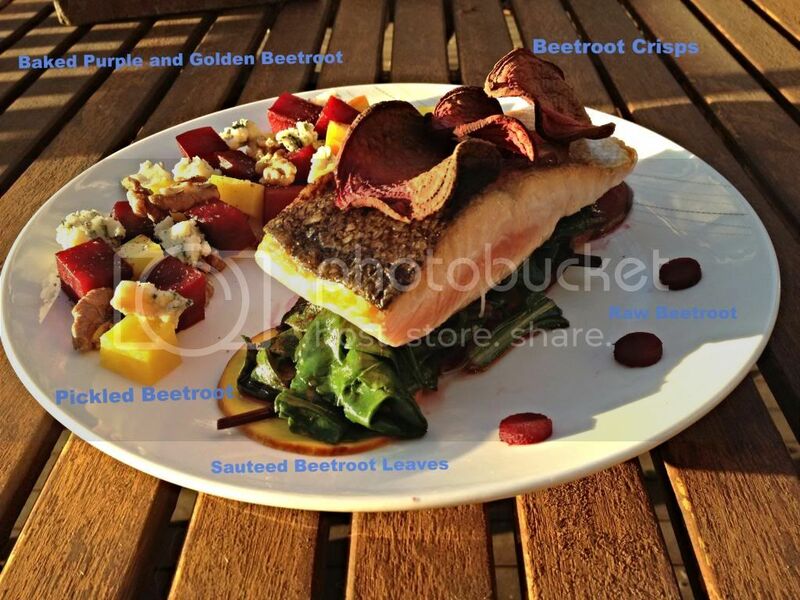 The pan-fried salmon with crunchy beetroot crisps, sauteed leaves and tangy picked beetroot slices was really tasty. 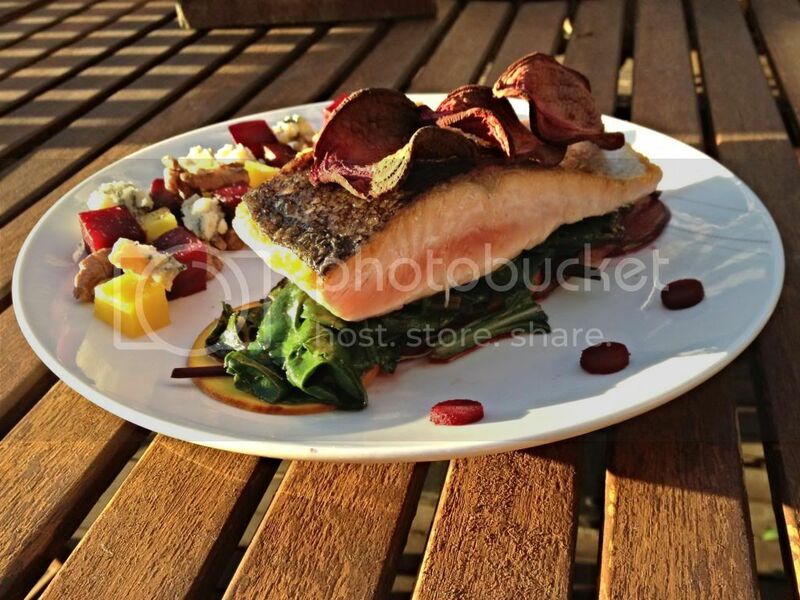 The pickled beetroot really cut through the oiliness of the salmon and the crisps added a nice crunch. Don't throw out your beetroot leaves people! Saute them with some salt and pepper for some added greeny goodness on your plate. So learn from my mistake - don't get too excited and overcomplicate things. Make two dishes, not one!